This bench is on Martin Luther King Jr. at 42nd Street. 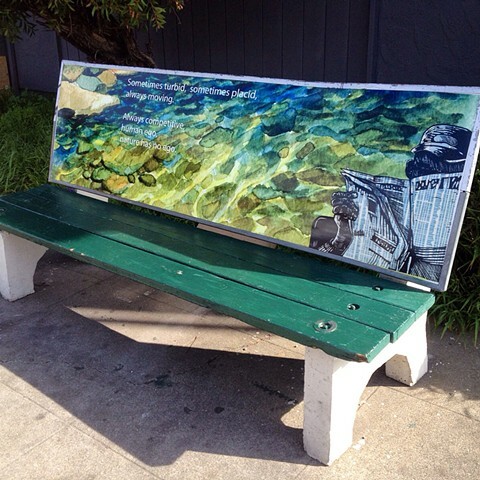 Bus stop benches by artists in North Oakland. Project conceived and curated by Ellen Lake with funding from Keep Oakland Beautiful.